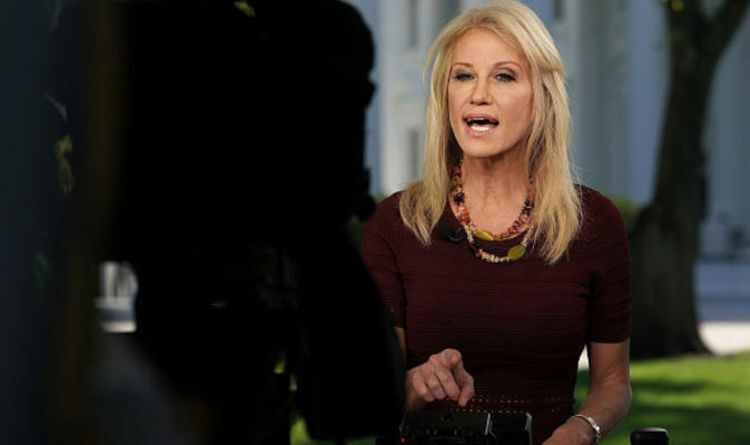 Despite losing the the House of Representatives, Mrs Conway said Mr Trump displayed a willingness to work with the Democrats. The White House advisor also batted off concerns over Democrats’ oversight of President Trump and his Administration as result of today’s election result. She said voters want their politicians to focus on the issues and “not just investigations” and defended Mr Trump’s tone and praised his ability to stand up to criticism. She added the President would continue to “defend himself and stand up for candidates he believes in”. All 435 seats in the House were up for re-election, and 33 of 100 seats in the Senate were up for the vote. The Democrats took the majority in the House, achieving more than the 218 votes needed to do so. Whilst in the Senate, the Republicans won over 50 seats, retaining their majority. Losing the House of Representatives will make it all the more difficult for Mr Trump to govern by making it harder for Republicans to pass laws as they will have to get Democrats on board also. The Democrats were locked out of power in 2016 following Mr Trump’s election but have now made a huge return to the forefront of decision making as the party ousted the Republicans in the lower chamber - marking a major set back for the President’s agenda in Congress. Democratic leader Nancy Pelosi, set to become the new House Speaker, celebrated the win. She said: “Women and men mobilised in historic numbers who saw what this GOP Congress was doing and refused to stand still. ”Tomorrow will be a new day in America." The red-blue split is likely to cause a headache for Mr Trump, possibly leading to more clashes between the two parties and two chambers.